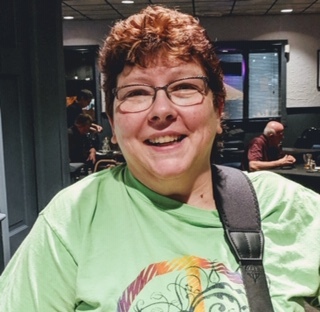 Kelly Stockwell, (President and Music Director), attended her first Banjo Camp North in 2003 to hone her clawhammer skills and learn about Round Peak. Since then she has attended almost every camp that has been offered playing fretless banjo and then switching to upright bass. In fact, her first time on stage was at a camp concert. Kelly has a day job in tech and plays upright bass with her husband Bruce’s long-running band The Stockwell Brothers. Before joining The Stockwell Brothers she formed a two-banjo band with Bruce and another couple, Hot Mustard, because you just can’t beat two banjos. Kathie Ferraro got her first banjo in 2007 as an anniversary gift from her husband. She began lessons with a local teacher who suggested Banjo Camp North to her, and she enjoyed it so much that she became a regular, and since then has missed only one camp. She is honored to be a part of the Music Camps North team. When not practicing or jamming, Kathie can usually be found in a Stop & Shop Supermarket, where she has been employed for 35 years. 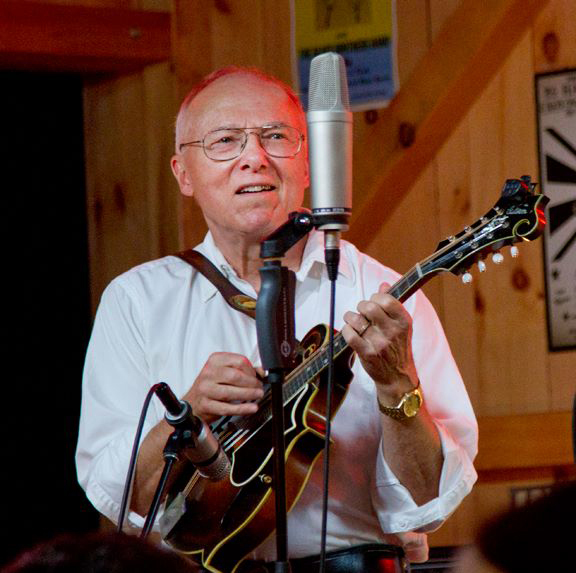 Pete Kaufman is a Milford, CT, based accountant and five-string banjo player. 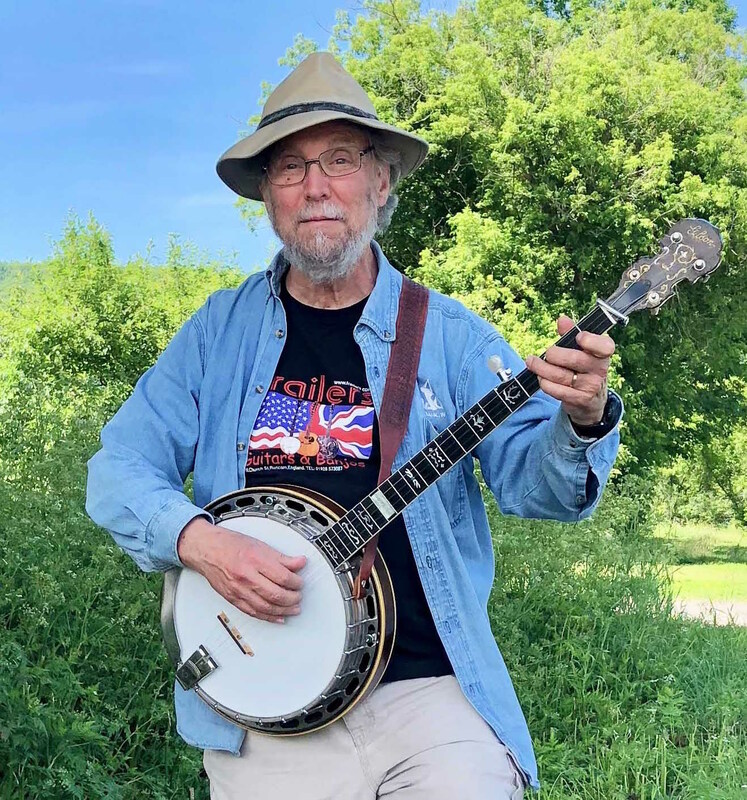 In addition to bluegrass, he enjoys exploring a wide range of musical styles including jazz, Irish, rock, and outlaw country. 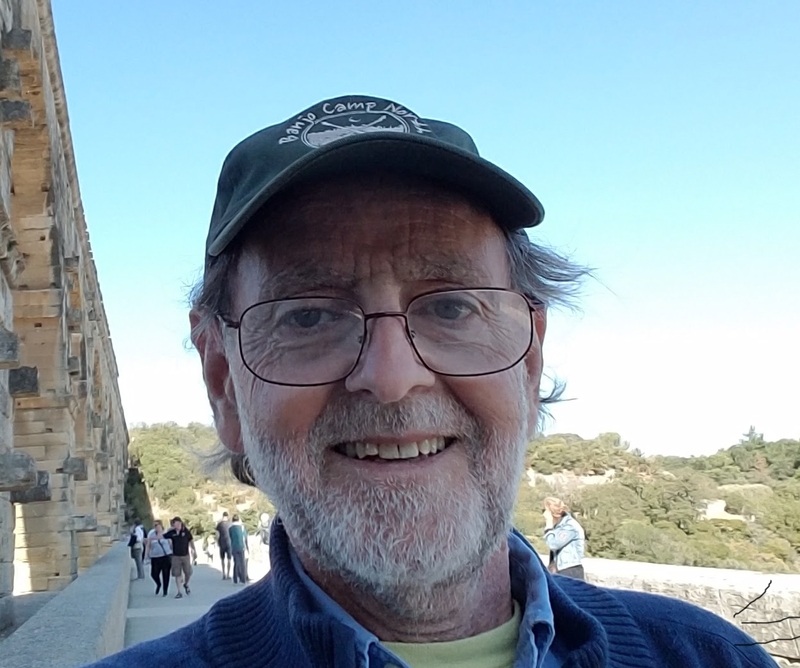 Pete is an active leader in the New England roots music scene, working with and serving on the board of directors for several non-profit music and arts organizations. Pete’s a member of the well-known progressive Connecticut bluegrass band Five in the Chamber. 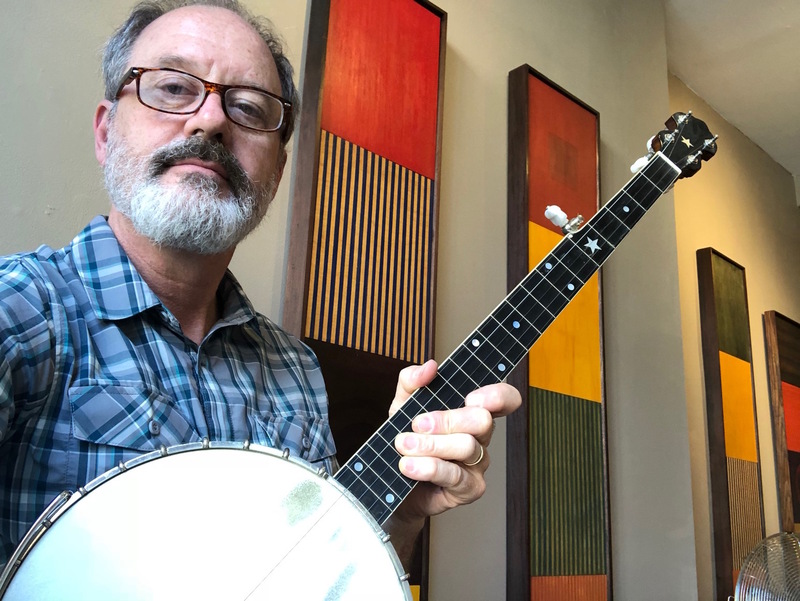 Pete Kelly’s first job in a working band was as bass player with The Valley Grass in upstate New York, and he has played with bands throughout the Northeast and nationally including The Dale Ann Bradley Band and Michael Cleveland and Flamekeeper. Pete has been a staff writer for Banjo NewsLetter, and has taught workshops on bass and banjo at festivals and camps throughout the U.S. and U.K.
Richard Pertz has been “playing the banjo with minimal talent but great love for 61 years.” Richard came to the first Banjo Camp North in 2001 and has been to every camp but one. With Mike Kropp, Richard acquired Music Camps North from Mike Holmes, and then, so sadly, Mike Kropp very soon passed away. Richard and Mike’s widow Janet then gave the program to the non-profit charitable organization for which those of us on this page are the Board of Directors. Richard is Music Camps North’s in-house lawyer. 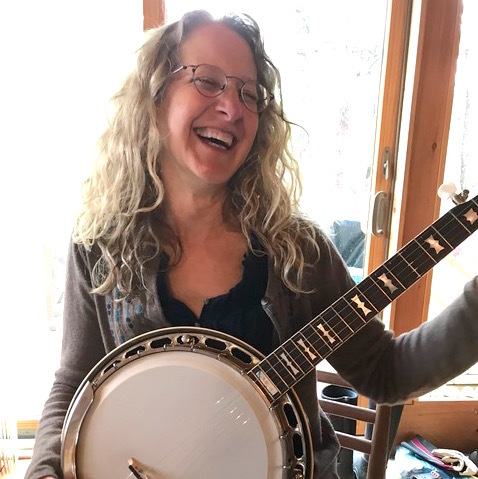 Lynda Shuster first came to banjo in 2013, when she pulled into a parking lot, saw a van with the license plate “BANJO” and felt a strange impulse to find its owner, who turned out to be the founder of Music Camps North! She’s been in love with the five string and this camp ever since. When she’s not streaming bluegrass music in the Cape Cod art gallery she manages, she’s playing in two bands: Bourbon Sunset – a contemporary bluegrass trio, and Cumberland – a more traditional mountain music duo à la the Carter Family and Stanley Brothers. 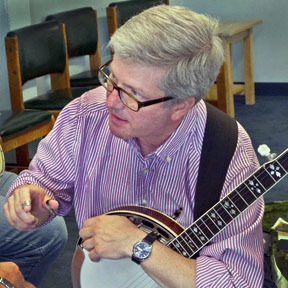 Michael Simpson attended Banjo Camp North for years before joining the board to help with marketing and advertising. Michael is a fragrance industry marketing veteran from New York City who recently co-founded OK Fine Fragrances. He’s also an emerging artist who shows at D’Arcy Simpson Art Works in Hudson, NY. 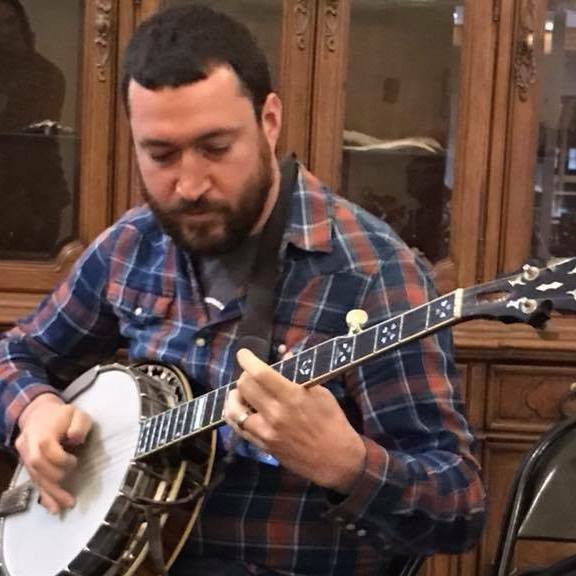 For the past 10 years he has hosted a weekly bluegrass jam in Ridgewood, NJ. Michael plays bluegrass guitar, oldtime clawhammer banjo, and fiddle.